2 Ct Swarovski Crystal Ball Studs $5.99 + FREE Shipping (Reg. $80)! You are here: Home / Expired / 2 Ct Swarovski Crystal Ball Studs $5.99 + FREE Shipping (Reg. $80)! I am in LOVE with these gorgeous stud earrings! 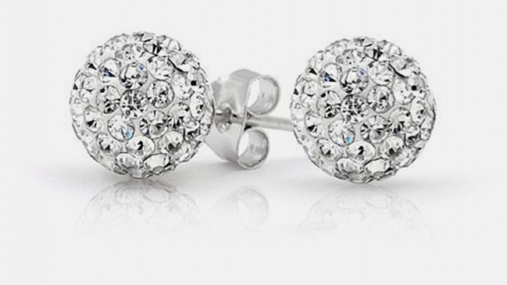 These 2 Ct Swarovski Crystal Ball Studs are actually ONLY $5.99 + FREE Shipping (Reg. $80) right now, too!